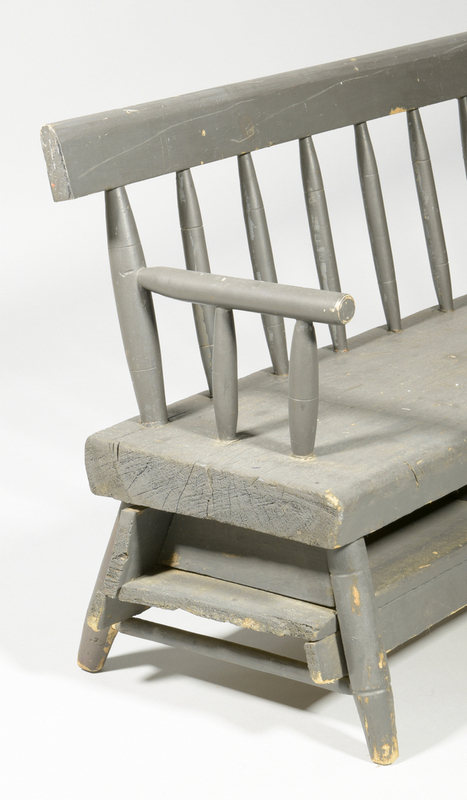 Windsor child's church or school bench with blue/grey paint, mixed woods, country spindle back and plank seat mounted on a box with storage cubicles, all on turned splayed feet. Found in Alamance County, North Carolina. 20" H x 81" W x 13" D. Late 19th century. CONDITION: Overall very good condition with expected general wear.